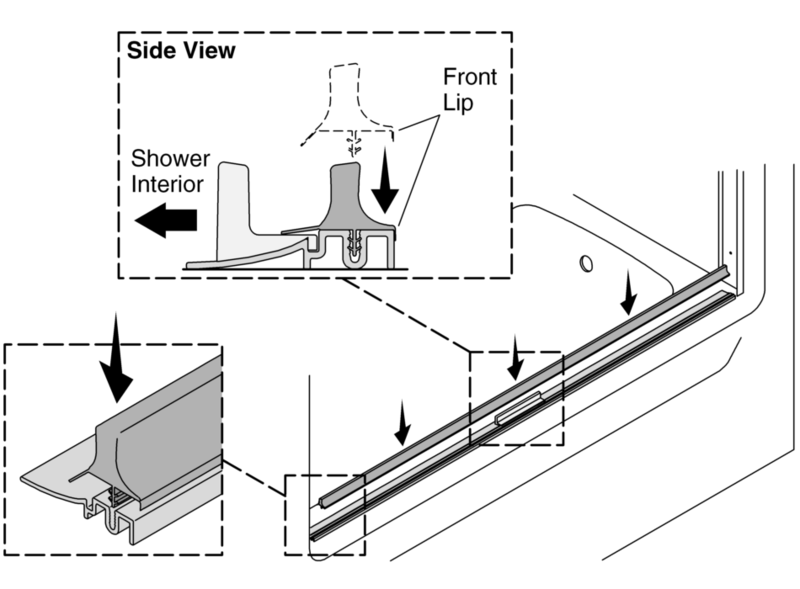 The soft threshold seal on the Prevail shower door must be installed in the correct orientation. It can be installed incorrectly. The front lip of the seal must be situated to the front of the bath/shower. The front lip may be bent under the seal upon arrival. If it is bent underneath, it must be bent back into the position shown so it fits over the front of the bottom track. The back of the seal fits over the center guide. It does not actively engage with any parts.